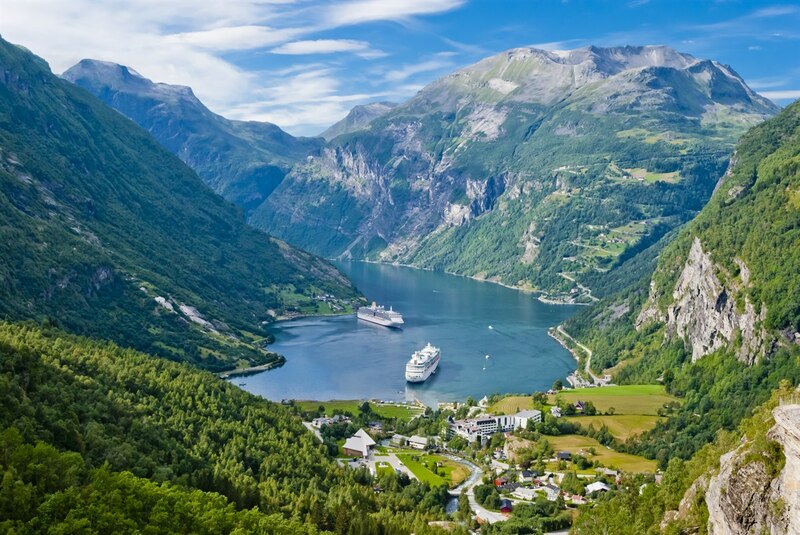 Let yourself be tempted by the beautiful fjords, waterfalls and mountain peaks of west Norway! Naturally, nature isn’t the only attraction of the region, so are its rich traditions for architecture and culture. We have collected a few highlights that we hope will inspire you to venture on new adventures in west Norway. Trollstigen (literally, The Troll’s Path) is one of the most famous stretches along Norway’s national tourist routes. There are two spectacular viewpoints on the Trollstigen plateau with breathtaking views of open nature, steep mountainsides and sky-high waterfalls. 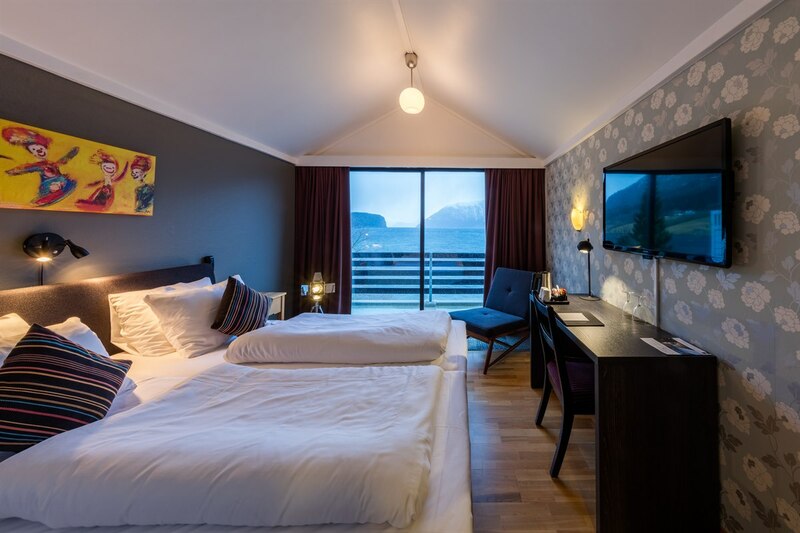 Trollstigen is located only a two-hour drive from First Hotel Atlantica in Ålesund and a three-hour drive from First Hotel Raftevold in Hornindal. Geirangerfjord with its deep-blue waters is a UNESCO World Heritage site. The fjord is surrounded by majestic mountain peaks, wild waterfalls and green and lush vegetation. Take a boat trip and see the fjords and waterfalls, go for walks in scenic surroundings, or see the fjord from a kayak. First Hotel Raftevold in Hornindal and First Hotel Atlantica in Ålesund are located near the Geirangerfjord. At an altitude of 1,100 metres, Trolltunga is one of Norway’s most spectacular rock formations with stunning open views. The trip to Trolltunga starts in Skjeggedal and continues up into the mountain highlands. The tour takes 10-12 hours (a total of 23 km) and the difference in altitude is approx. 1,000 metres. Our beautiful hotel in Kinsarvik is located near Trolltunga should you need to relax after a long and demanding trip. Preikestolen by Lysefjord in Stavanger is one of Norway’s major tourist magnets and has been ranked by CNN Go and Lonely Planet, among others, as one of the world’s most spectacular observation points. The steep cliff rises 604 metres above Lysefjord. First Hotel Alstor is one of the historic hotels in Stavanger and a great option for stays when visiting Preikestolen. Ålesund is built on several islands and is surrounded by lakes and the sea. With its unique location among fjords and mountains, the city is the perfect starting point for activities and excursions. 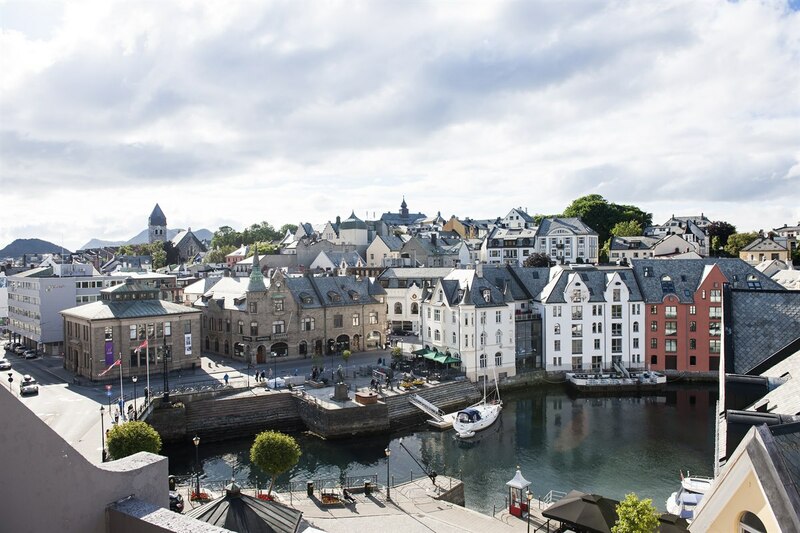 Ålesund with its beautiful Art Nouveau architecture is also famous for its fairytale world of towers, spires and beautiful decorations. In the summer, you can go kayaking in Brosundet, fishing by the coast or hiking in the mountains. In winter, you can go cross-country and alpine skiing. From Ålesund there is a short distance to mountain trekking trails in the Sunnmørsalpene and Strandafjellet. The Stavanger region tempts you with meandering fjords, towering mountains and sandy beaches. You can enjoy a cruise trip on Lysefjord or go sightseeing in the areas nearby. As a former European Capital of Culture, Stavanger offers an impressively rich cultural life. 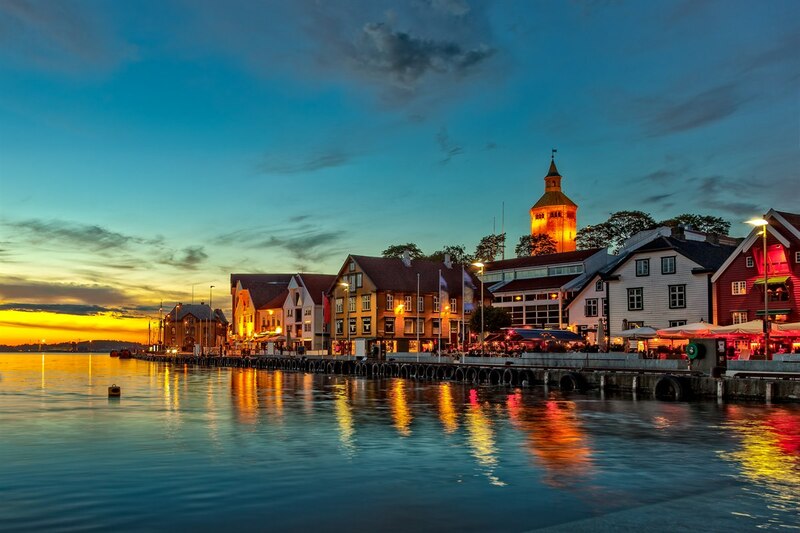 You can visit the Norwegian Oil Museum, the Stavanger Art Museum and the Norwegian Canning Museum, or wander in the old town with its wide range of shopping and restaurants. Kinsarvik is centrally located in the inner Hardangerfjord and is a natural gathering place. A popular tourist route in Kinsarvik winds through Husedalen, where you pass the waterfalls of Tveitafossen, Nyastølfossen, Nykkjesøyfossen and Søtefossen. The trip takes about 4-5 hours. 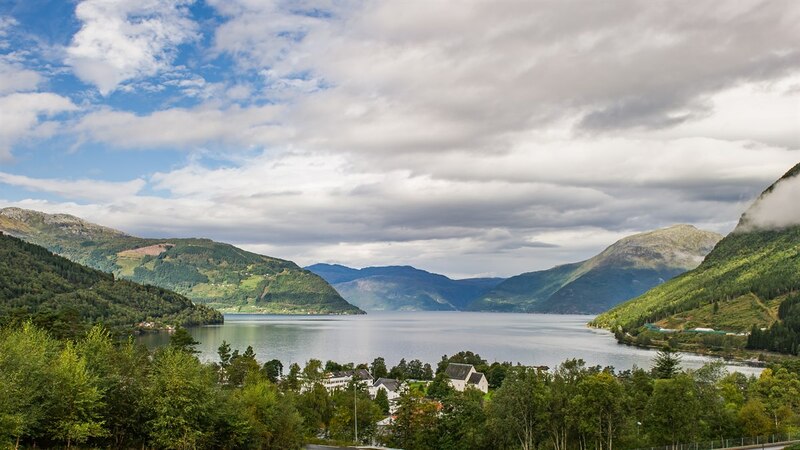 There are many activities both in and around Kinsarvik, such as sailing, boating, fishing trips, go-carts, the Mikkelpark amusement park, hiking in the forests and mountains, and sightseeing by helicopter and watercraft. There are also various festivals such as the Flower Festival, Morell Festival and Hardanger Music Festival. In the Stavanger region and Ryfylke there are always interesting events to be enjoyed, especially during the festive season where several Christmas events and concerts are offered. You can also go on an autumn trip to Preikestolen between 16 October and 23 December. Among the many other activities are windsurfing in the crystal-clear waters, curling and ice skating in the middle of the city, cross-country skiing in peaceful nature, and adrenalin-boosting slalom slopes. In Ålesund, you can capture the true spirit of Christmas! Many places stage events in the period up to Christmas. You can visit Christmas markets, Christmas concerts, Christmas shows and performances for children. 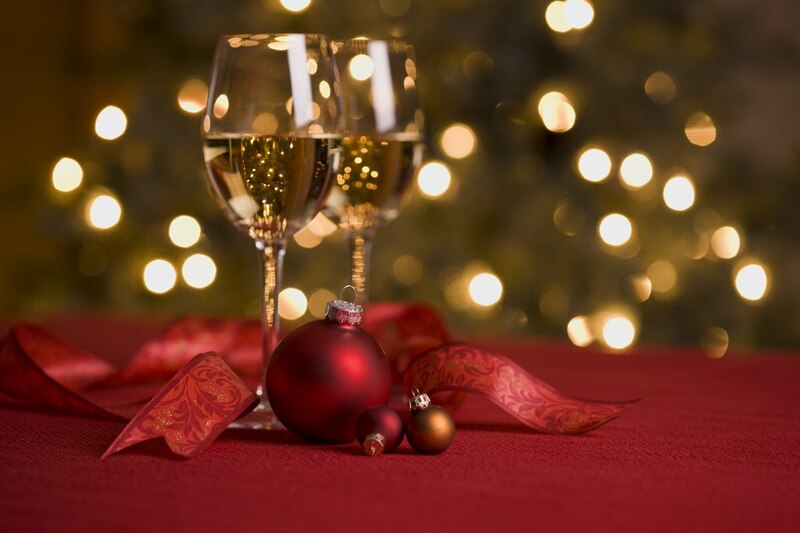 You can also enjoy the yuletide atmosphere at First Hotel Kinsarvik, which offers a 3-course Christmas dinner including dessert buffet, a stand-up show starring Baste Bolstad as well as live music and dancing. When staying at the hotel you can also experience all the other activities in the region throughout the festive season. 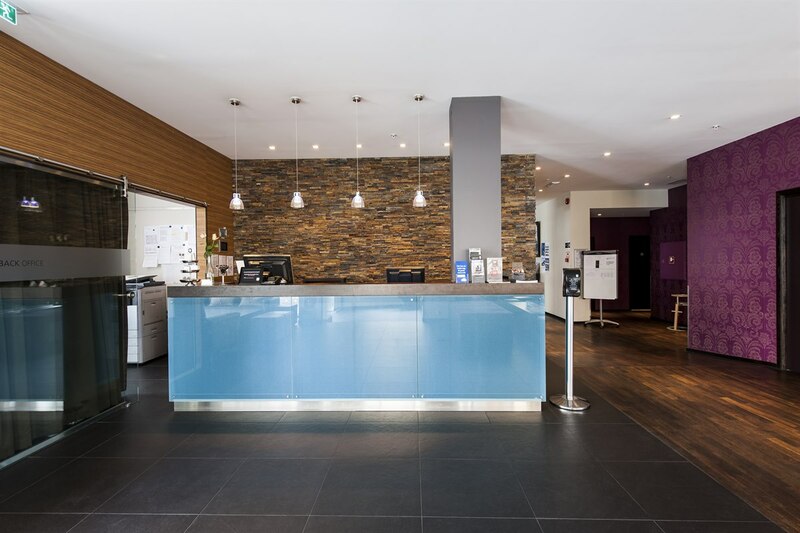 Our receptionists at First Hotel Alstor, First Hotel Atlantica, First Hotel Kinsarvik and First Hotel Raftevold are always well informed about what is happening in and around the region and will be happy to help you with any information.